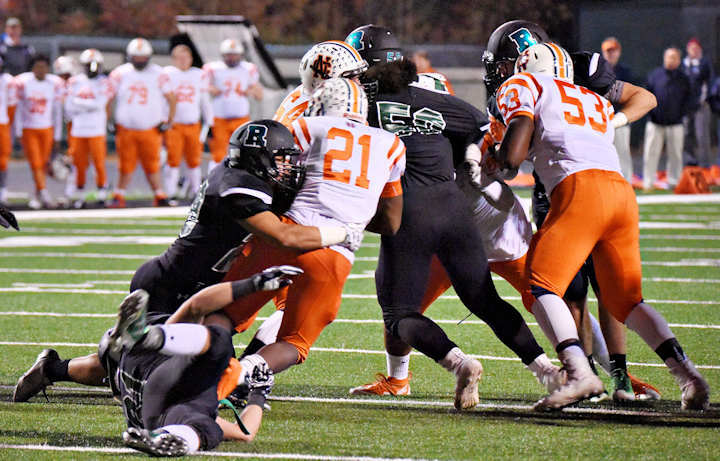 ROSWELL–In the last home game of the postseason, the Roswell Hornets defeated North Cobb High School, 42-21. 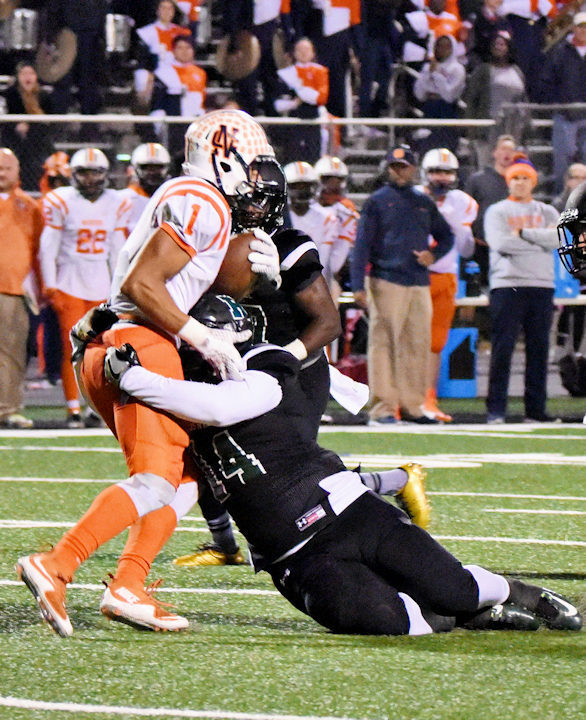 While Roswell built up a three touchdown lead in the first half of the game, North Cobb came within striking distance of the Hornets in the third quarter, narrowing Roswell’s lead to seven points. Roswell finished strong, though, scoring as many touchdowns in the fourth quarter as they had in the rest of the game combined. 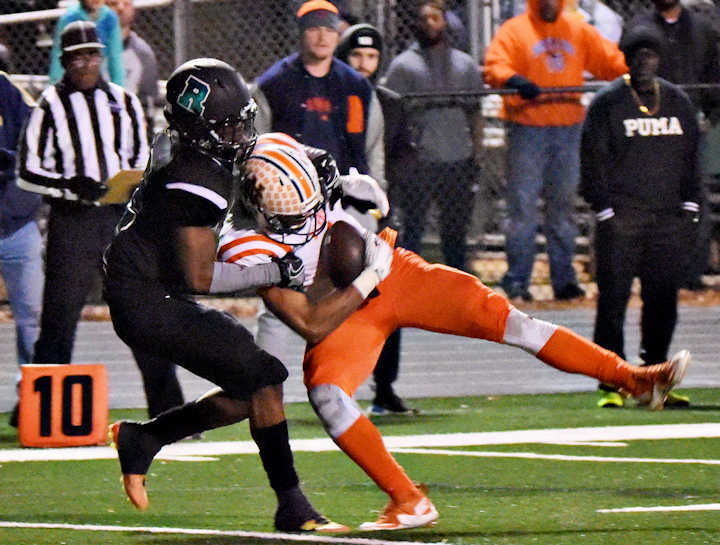 With Friday’s win, Roswell advances to the semi-final round of the playoffs, where they will play Atlanta’s Westlake High School, who currently hold an 10-3 record. If the Hornets can succeed in that game, they will go on to the Georgia Dome to face off against either Grayson or Mill Creek, the highest and second-highest ranked high school football teams in the state, respectively. Against North Cobb, the Hornets’ six touchdowns were evenly split between rushing and passing. Quarterback Malik Willis held onto the ball to account for two touchdowns; he ran for a game total of 130 yards. Running back Sheldon Evans covered 166 yards in the game with one touchdown, the 63rd of his outstanding career. Corey Reed, Christian Ford, and Jayden Comma each made a touchdown reception. 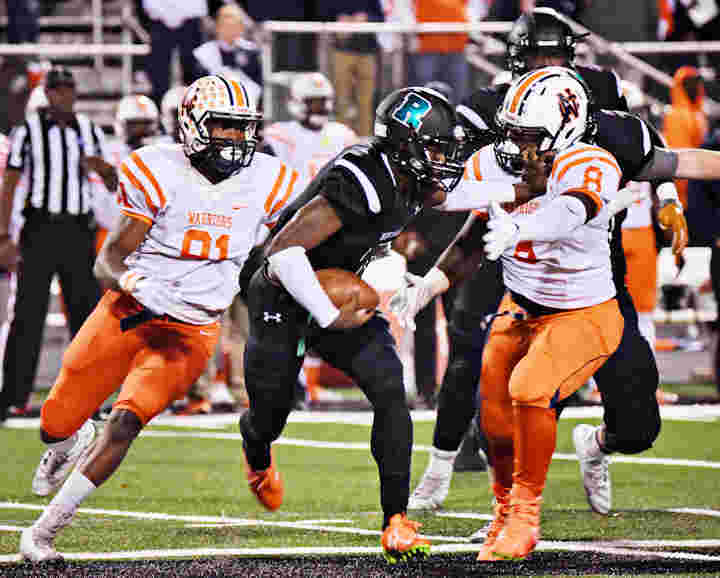 As usual, defensive back Xavier McKinney played a key role on defense, intercepting a pass early in the fourth quarter that kicked off the Hornets’ late-game breakaway from North Cobb. In a game with plenty of backfield tackles, linebacker Justin Ellis stood out especially with four quarterback sacks. The Hornets started the game off by taking a two-touchdown lead over the Warriors. LeAnthony Williams intercepted a pass late in the first quarter and, building on that, Reed made a 13-yard reception and stiff-armed past the North Cobb defender for the night’s first touchdown. Sam DiRoberto recovered a fumble on North Cobb’s next drive, allowing Comma to make the easy catch for the touchdown from the 10-yard line. Willis finished Roswell’s opening drive of the second quarter with a 24-yard quarterback keep for the touchdown. North Cobb stayed scoreless by the halftime whistle, and Roswell held the Warriors to negative rushing yardage in the first half. In the third quarter, North Cobb made up for their 21-point deficit by scoring two touchdowns in quick succession. With about four minutes remaining in the quarter, North Cobb covered 82 yards in a single passing play for a touchdown. The team’s next seven points came after a Roswell fumble in the closing seconds of the quarter. The Warriors took the field at the Roswell 17-yard line, allowing for a quick and easy touchdown. Now with only a fragile lead, Roswell appeared demoralized going into the final quarter. The Warriors forced a Roswell punt in the Hornets’ first offensive series. A couple of plays later, McKinney picked off a pass that appeared to slowly restore the team’s confidence. The Hornets held North Cobb to three-and-out on the next defensive drive. Evans took over from there on offense. In five carries, he covered 53 yards for a touchdown. On the next drive, Christian Ford covered 51 yards in a single play for a 21-point lead. North Cobb made a final push to recover, scoring another touchdown and then recovering their onside kick. The Warriors would not give up without a fight, slowly but steadily making their way up the field. Roswell defense stiffened however, and denied the team a fourth-down conversion at the 21-yard line. 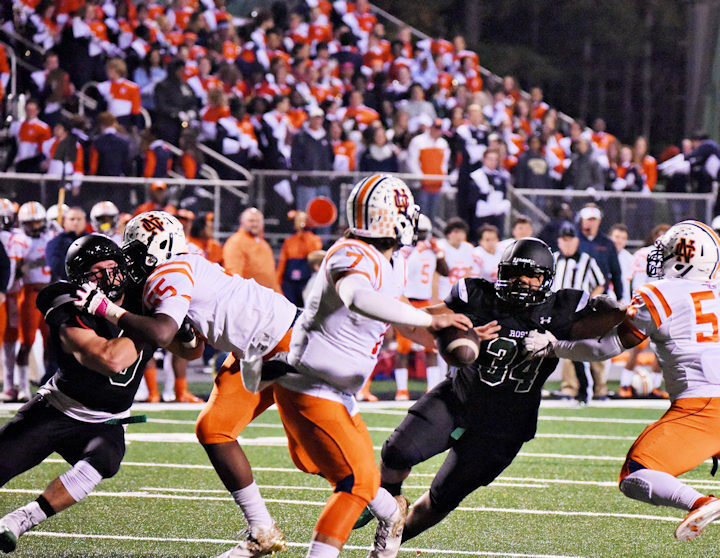 From there, Malik Willis finished the game with a 72-yard run for one last Roswell touchdown, ensuring victory.